Fate, Destiny, Divine Intervention. 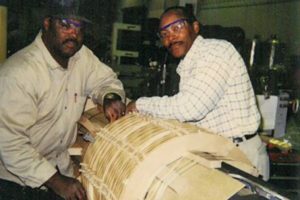 These are just a few words that could explain how Rudy’s journey with SPX Transformer Solutions began almost 50 years ago. In 1967, Rudy was serving as an Airborne Ranger/paratrooper in the United States Army. The intense action, physical endurance training, travel and adventure played into Rudy’s zest for life, but he yearned for all that excitement and extreme action MINUS the strict confines of the military. Therefore, throughout his service in Vietnam, he worked on a “game plan” for post-Army life. Rudy set out on a personal letter-writing mission from Vietnam, reaching out to over 20 companies in his North Carolina hometown for employment. In these letters, Rudy expressed interest in a career after he exited the military. For all the letters sent, only one response was received — from Jim Pender, HR manager for Hevi-Duty/Sola Basic. Jim’s response expressed thanks for Rudy’s military service and a sincere interest in meeting him. He eluded to the possibility of a career opportunity with Hevi-Duty if Rudy’s interest was sincere and asked Rudy to stop by the facility once he touched down in the U.S. to pick up an application. And that is exactly what Rudy did! Rudy started with Hevi-Duty/Sola Basic on October 14, 1968, as a coil winder. Always inquisitive and driven to excellence, he set out to learn everything possible about winding. 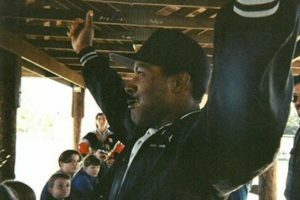 According to Rudy, “Al Charpner took me under his wing and taught me how to be the best winder I could be.” Rudy referenced a saying from Dr. Martin Luther King, Jr., “If you get a job as a ditch digger, be the Michelangelo of ditch digging.” Rudy says that is the attitude he takes when approaching every job, keeping him motivated. Winding was cool, but Rudy yearned for more knowledge. He knew that more went into building a transformer than windings. So, he took it upon himself to learn everything he could about the entire process. 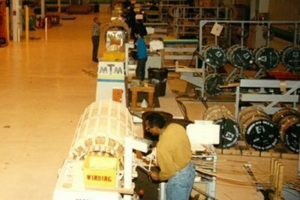 Cleve Faison assisted Rudy in exploring test processes, and Gylfi Olafsson taught him all about the electrical side of the transformer, including creep and strike distances. In August 1999, Jeff Neiman approached Rudy with a promotion to a quality specialist position. And the Quality Department is where he remains today, as a senior quality specialist. Rudy is a people person, and he loves how his job provides him the opportunity to interact with other employees and customers. Customers appreciate his knowledge and willingness to openly share that knowledge. Employees enjoy his light-hearted personality and appreciate his desire to assist them regardless of the task. In return, Rudy enjoys the camaraderie that has developed between his fellow team members and him. In fact, the outpouring of support earlier this year when his beloved wife, Lynell, passed away was the only thing that prevented Rudy from retiring. The support and concern from his SPX Transformer Solutions family made a world of difference during one of the toughest times of his life. Rudy recalled another proud moment from June 2011, when he became the first employee to be personally nominated by then-SPX President, Chris Kearney, for the X-Factor Series published by the Corporate Communications Department in Charlotte. Rudy feels this recognition helped seal his reputation for excellence. Outside of work, Rudy is quite the adventurer and outdoorsman. He spends his free time cycling, cross-country skiing and body building. He is also a martial artist who once participated in a competition with Bruce Lee and Chuck Norris in Seattle, Washington! Additionally, Rudy enjoys spending time with his grandson, Komari, who is a sophomore at Wayne School of Engineering. 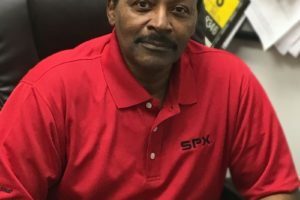 Thank you for all your heartfelt dedication and continued loyalty to SPX Transformer Solutions, Rudy! Your accomplishments and attention to detail and safety have not gone unnoticed, and we look forward to having you in your position for years to come.